Toronto, Sept. 6, 2011 – Kevin McMahon, Gemini award-winning Canadian filmmaker and Artistic Director of Primitive Entertainment, will take part in an In Conversation session with Frederick Wiseman, one of today’s greatest living documentary filmmakers. The master class, organized by Doc Toronto Master’s Series, will be held Sept 11 at 2:30 p.m. at Innis Town Hall (2 Sussex Avenue). 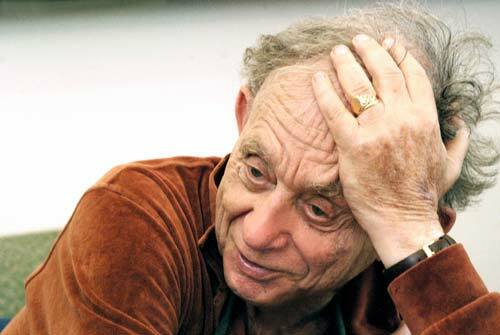 Prolific and world-renowned American filmmaker Frederick Wiseman has created some of the most affecting and renowned observational documentaries of the past 40 years, such as HIGH SCHOOL, TITICUT FOLLIES, LAW AND ORDER, NEAR DEATH, LA DANSE - LE BALLET DE L'OPERA DE PARIS and BOXING GYM, among many others. Wiseman will discuss the process, philosophy, and challenges of an astonishing career. Wiseman will be in Toronto for the premiere of his latest film, CRAZY HORSE at the Toronto International Film Festival. Tickets for the master class are $40 DOC members, $60 non-members, $51 LIFT & WIFT members and $25 students. To register: http://frederickwiseman.eventbrite.com/. Kevin McMahon has written and directed 17 films for Primitive Entertainment, eight of them feature-length. He also provides creative guidance for the development and production of the company’s other film and television projects. With an abiding interest in our relationship with nature, technology and the Canadian landscape, McMahon has made films about Niagara Falls, nuclear weapons, cod fishing, the Great Lakes, the rebirth of the Haida and Inuit First Nations and the seer Marshall McLuhan. McMahon’s films have won many awards and been generously received by critics. The Canadian Film Institute and Hot Docs have both held retrospectives of McMahon’s work.